Jolly Tumuhirwe, Ugandan nanny pleads guilty to throwing baby across the floor and stomping on it. Home Scandal and Gossip Jolly Tumuhirwe, Ugandan nanny pleads guilty to throwing baby, stomping on it. Jolly Tumuhirwe, Ugandan nanny pleads guilty to throwing baby, stomping on it. What led to one nanny savagely beating a child in her care…? Jolly Tumuhirwe a Ugandan nanny caught on a secret camera (see below) forcefully feeding a baby before throwing it on the floor and stomping on it has pled guilty, begging for forgiveness. Since her admission of guilt the woman who turned up to court on Monday with her mother now faces up to 15 years in jail with a fine of $400 after being charged with torture of the child. The incident which would go viral showed the 22 year old Ugandan nanny attacking Aneela Kamanzi when the child’s father Eric Kamanzi, noticed that his daughter was bruised and limping. Rather than confronting the nanny, the father instead viewed secret cameras that he had installed in the family home in Nakawa after becoming concerned about his daughter’s safety. Video footage would reveal Tumuhirwe dragging the child onto the floor before beating her with a torch, and then kicking and standing on the toddler. The attack began after the little girl vomited while the nanny was feeding her a meal. According to the BBC, the father broke down when the nanny told the court that she was sorry for what she had done and begged for forgiveness. Despite offers to be represented by one of Uganda’s leading legal advocates, Tumuhirwe would appear in court not represented by a lawyer. The magistrate denied the request saying the lawyer had not formally notified the court. Aggravating matters is the assertion that Eric Kamanzi is reported to have beaten Tumuhirwe, who had been working for the family for three months at the time, ‘to a pulp‘ after watching the video. The nanny later reported the assault to police and Mr Kamanzi was arrested after admitting he had attacked her. 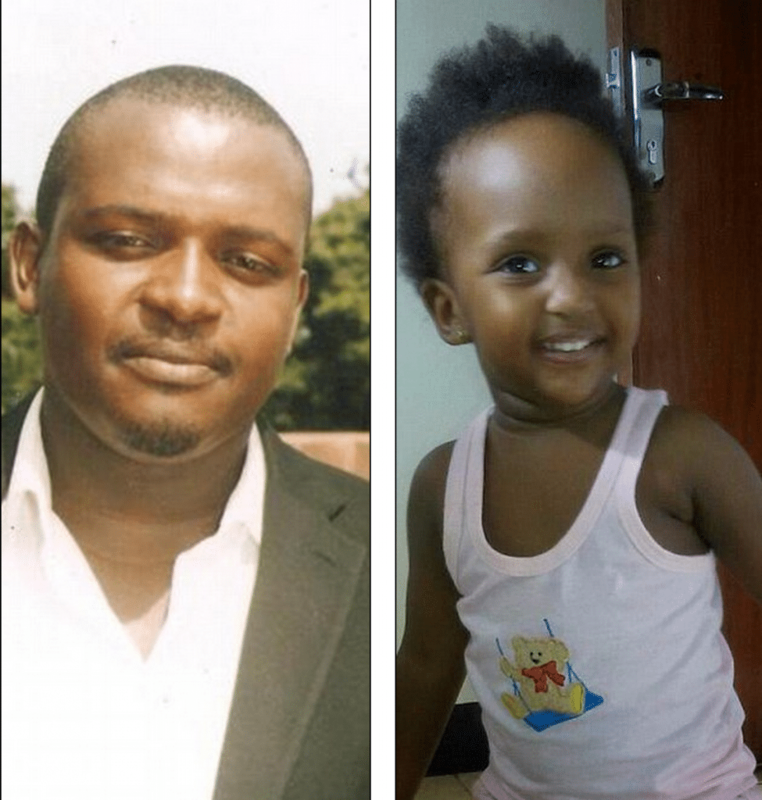 That said the charges against the father, who works for an NGO in Kampala, would be dropped after he showed authorities secret tapes of the beating of his child at the hands of Jolly Tumuhirwe. Police had issued a statement saying the charge of torture would be amended to attempted murder, but the directorate of public prosecutions was quoted in local media stating that the charge remained torture under the Anti-Torture Act. Prior to her court appearance, Tumuhirwe had released a statement revealing the reasons behind her actions towards the child. She claimed that her father, who was on his death bed, was haunting her that her employers were not sympathetic to her situation. She said her actions were encouraged by what she had witnessed the mother of the child do to her. The prosecution asked the court for an adjournment of two days so that she could gather more facts on the case. The case will return to court on Wednesday when it is expected that the magistrate will make his final ruling and sentence Tumuhirwe. Since video of the beating has gone viral the case has led to wide debate as to the conduct of nannies and what punishment the nanny ought to receive whilst others have wondered how the father has been able to side step any punishment himself for his own savage beating of the nanny which some wonder may have precipitated her taking vengeance on the child in prior instances…whilst others have told they ‘would have finished’ the nanny off.